(01/08) I still remember the book fair as one of the highlights of my elementary school year. For a half hour or so the teacher would take us down the long hall to the multipurpose room - my school was too small to have a separate gym, cafeteria or even a library - where table after table had been set up with stacks of books arranged by interest and age level. I loved books as a kid and I always looked forward to the event. Some of the books I purchased there would shape my reading habits for the rest of my life. I still remember taking the two dollars my mom gave me for the fair and investing it in The Andromeda Strain. This was Michael Crichton's first book under his own name and I found it impossible to put down. Since then I have read most of Crichton's books such as The Great Train Robbery, Eaters of the Dead, and Jurassic Park, not to mention seeing many of the movies inspired by his works. That book fair made me a lifelong Crichton fan. Another book fair introduced me to yet another author: Bertrand R. Brinley. Few of you will recognize his name, though some will fondly remember series he authored: The Mad Scientists' Club (referred to as MSC among fans). His initial work consisted of two volumes of short stories and a novel. A second novel written by Brinley but not really published until after his death completes the set. In my opinion his stories rank as one of the best young people's reading series ever created. Bertrand Brinley was born in Hudson, New York, in 1917. As a child he moved with his family from place to place, eventually living in West Newbury, Massachusetts as a teenager where he graduated from the local high school. He worked at Lockheed Aircraft Corporation in California as a systems analyst during the early years of World War II and joined the army in 1944. His tour with the army allowed him to see much of the world. He left the army for a short time, then reentered it during the Korean War. Much of his work with the army involved public relations and in the late 50's, right after the Sputnik launch, he was put in charge of a program to instruct amateur rocketeers in safety. This lead to his first book published in 1960, Rocket Manual for Amateurs. This is ancient history - even to me - but the launch of Sputnik by the Soviet Union in 1957 sent the United States into a crisis. The successful orbiting of a satellite by America's rival after the failure of several of our own rockets created the impression of a scientific gap between the two countries. In 1958 the U.S. would orbit its own satellite, Vanguard, but by then the idea that America was behind the USSR in science and technology was firmly planted in the public's mind. To close this supposed "gap," money was poured into education for the next decade or so. The introduction of new curriculum - such as the so-called New Math designed to promote engineering and science-was common. While it is doubtful that New Math really turned ten-year-olds into rocket engineers, it is indisputable that these events had Americans thinking about science and technology. It was in this atmosphere that Brinley conceived his stories. 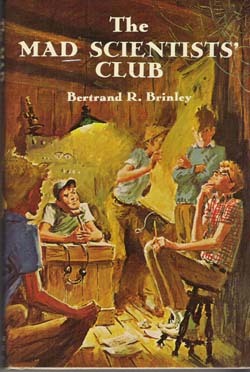 In 1961 the first of Brinley's tales was published in Boy's Life. Boy's Life was, and remains, the official magazine of the Boy Scouts. The story, The Strange Sea Monster of Strawberry Lake, told of a group of small-town teenagers whose genius for technology gets them both into and out of trouble when they build a fake sea serpent. The story of the club was continued in two more stories that year in Boy's Life. In 1965 the first seven of the short stories were gathered into book form and published under the title The Mad Scientists Club. It was a paperback copy of this I came across and purchased at a book fair several years later. To say that I liked this book would be quite an understatement. I read the seven tales contained in it over and over again. Each, while involving the same characters and setting, were very different and engaging. My personal favorite is The Secret of the Old Cannon, where the club probes the mystery of what is in the breech of a giant civil war cannon in the local park. The stories were told in first person by character Charlie Finckledinck (who didn't have a last name until the first novel came out) but clearly the club's most prominent member was the bespeckled teenager Henry Mulligan. Henry, the group's resident science genius, was just as likely to come up with some outlandish prank as a legitimate experiment or invention. Other MSC members included Jeff Crocker, the president (by virtue of the club meeting in his father's barn), Homer Snodgrass and Mortimer Dalrymple (experts in electronics and radio). The club membership was rounded out by Freddy Mulldoon and Dinky Poore, the group's Mutt and Jeff pair. The adults of the mythical town of Mammoth Falls where the stories were set found themselves forever involved in some scheme or prank the club had thought up. These, for example, took the forms of a fake monster in the local lake, an electronically-haunted house at the city limits and a mad balloonist in the town square. When the boys weren't giving Mayor Scragg, Police Chief Putney or Constable Billy Dahr problems, they often found themselves at odds with a rival gang formed by Harmon Mulldoon who had been a MSC member but had been thrown out for activity unbecoming of a scientist. It always amazed me how the characters in the books were so clearly and finely drawn. Unfortunately Bertrand Brinley is no longer with us, but I contacted his son, Sheridan Brinley, and asked if he knew how his father had come up with the characters. Like many authors, Bertrand Brinley's own personality found its ways into the people he created. "Henry is my father through and through," said Sheridan. "A guy who thinks before he speaks, has an unusual perspective on things, has a vivid imagination, secretly feeds the dog at the table, is late to dinner because he is thinking about something, etc., etc." "Dinky Poore, I have always thought, was in part me, as I was small and skinny as a child and a bit of a whiner," said Sheridan. "The Poore name is a family name in Westbury, Massachusetts, which is the source of a number of the names and places in the stories. For example, Billy Dahr is based on the constable in West Newbury in the '30s. He was a bumbling sort of cop, as is Dahr." At least some of the events in the stories were inspired by real incidents that would have appeared in the news at the time. The accidental loss of a nuclear device off the coast of Spain in 1966 surely provided inspiration for the first novel, The Big Kerplop!, where an atomic bomb splashes into Mammoth Fall's Strawberry Lake. The Air Force's Project Blue Book, which investigated UFO sightings, may have also been material for Brinley's imagination to chew on. "The Unidentified Flying Man of Mammoth Falls was, I think, a parody of the Air Force program spending taxpayers' dollars to trace down UFO sightings," muses Sheridan. "What a great joke: create a flying mannequin that makes fools of the town elders and police and scrambles the planes from the nearby Air Force base. Some of the same stuff is in The Flying Sorcerer." 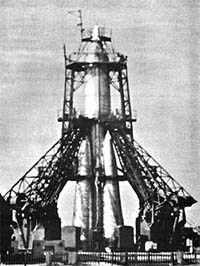 The rocket that launched Sputnik into space. The successful flight made Americans worry about a gap in science and education. I have had at least 5 copies of the Mad Scientist's Club over the years. I just gave away my only duplicate set. [...] They too were my favorites when I was younger. I am now a spacecraft flight engineer (worked with NASA controlling the Magellan Spacecraft to Venus) thanks in part to those books. I suspect that this sentiment is widespread. There aren't as many MSC fans around as Trekers, but those that exist seem to cherish their memories of the stories just as much as episodes of that seminal TV series. I even suspect that my own choice of career as a software engineer hearkens back to Brinley's tales. I never lost my little paperback copy of The Mad Scientists' Club that I bought at the book fair, though it became tattered with use and the back cover eventually got detached. When my children reached the right age I was able to read the stories to them. (I also managed to hang onto The Andromeda Strain and read that with them a few years later). While researching the book on the web I became aware there had actually been a second volume of short stories published called The New Adventures of the Mad Scientists' Club and a novel entitled The Big Kerplop! Unfortunately by this time both of them had been out of print for many years and were almost impossible to find. This was bad news as I desperately wanted to get a hold of them for both myself and my kids. I eventually managed to find The New Adventures, but the novel, of which only a 1000 had been printed, escaped me. Sheridan Brinley had been trying to get his father's works republished for a number of years without success. No publisher wanted to risk the money necessary to run off several thousand copies of the books no matter how ardent the small fan base might be. Fortunately, Brinley came in contact with Purple House Press (PHP), a new publisher formed by a woman named Jill Morgan. Morgan had been locating and collecting out-of-print children books and had come to realize the cost of these original volumes were being driven through the roof. Parents who wanted to share their favorite children's books with their own kids were priced out of the market. Morgan started contacting authors and their heirs and arranging for these works to be reprinted in small volumes. The company now has thirty-two books in its catalog including the original Mad Scientists' Club, The New Adventures of the Mad Scientists' Club and The Big Kerplop! In fact for MSC fans there was perhaps an unexpected bonus from this alliance with PHP. Bertrand Brinley had written a second MSC novel, but it had never been published in the United States. After some editing, The Big Chunk of Ice - the story of the Mad Scientists entangled in a mystery in Austria - became available for readers for what was probably the first time. Of course I ordered all four books. I truly believe that one of the secrets of getting your kids to be great readers is not just to read to them, but to read to them stories you yourself are in love with. The kind of excitement you radiate can't be faked and kids pick up on it. That is one of the reasons why I am so happy to see efforts like Purple House Press succeed. As a teacher I've had the opportunity to not only share MSC stories with my kids, but students as well. From a technical point of view the stories show some signs of age - the radios, model rockets and remote controls the MSC kids used aren't exactly cutting edge technology anymore (one can only wonder what trouble Henry and friends could get into using computers, the Internet and various wireless devices), but the stories are still great and worth sharing with a new generation. 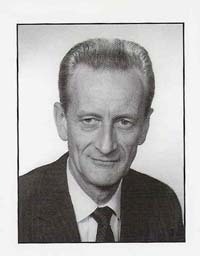 Bertrand Brinley died in 1994, but not without having left a significant mark in a lot of people's lives. I still can't see more than two hot air balloons together without thinking of The Great Gas Bag Race. I was ecstatic a few years ago when I visited Fort McHenry in Baltimore and found they had a 15-inch Rodman cannon (the same one featured in The Secret of the Old Cannon). I stood there pondering, could Homer Snodgrass really have wiggled his way down that barrel to find out what was inside? Years ago when my wife suggested we name our younger son Jeff, my mind flashed immediately to Brinley's president of the MSC - a smart, upstanding, leader - and I quickly agreed. In a way I like to think of this website, The Museum of UnNatural Mystery, as partly a tribute to Brinley's work. I'm sure his stories inspired my interest in weird science. I'd like to think that the halls of the museum are a place where the spirits of Henry Mulligan and Jeff Crocker, embodied into the children of today, can still find some adventure, or at least some mischief, to get into that would vex Mayor Scragg and the citizens of Mammoth Falls. - The Strange Sea Monster of Strawberry Lake - The club decides to shake up the town with a fake lake monster, but things go frather than they ever envisioned. - The Big Egg - The kids find a dinosaur egg and it hatches, or does it? - The Secret of the Old Cannon - What is hidden in an old civil war cannon up on Memorial Point? -The Unidentified Flying Man of Mammoth Falls - A mad ballooner upsets the town's Founder's Day celebration. - The Great Gas Bag Race - The club enters a balloon in the annual race and find themselves up against their old rival, Harmon Mulldoon. - The Voice in the Chimney - The old house on Blueberry Hill is haunted, or is it just peoples' imagination? - Night Rescue - The club tries to rescue a downed jet pilot. - The Telltale Transmitter - The club goes up against bank robbers. - The Cool Cavern - The kids try to rescue Harmon's gang from a cave in. - Big Chief Rainmaker - The club tries to bring an end to a devastating drought. - The Flying Sorcerer - A UFO seems to be visiting Mammoth Falls. - The Great Confrontation - Harmon Mulldoon's rival gang goes too far. The Big Kerplop! - A full length novel that tells the story of the formation of the club during a scare when an atomic bomb is lost in Strawberry Lake. The Big Chunk of Ice - A full length novel that tells the story of the club as it goes on a scientific expedition to Austria and gets entangled in the mystery of a lost diamond. Copyright Lee Krystek 2008. All Rights Reserved.